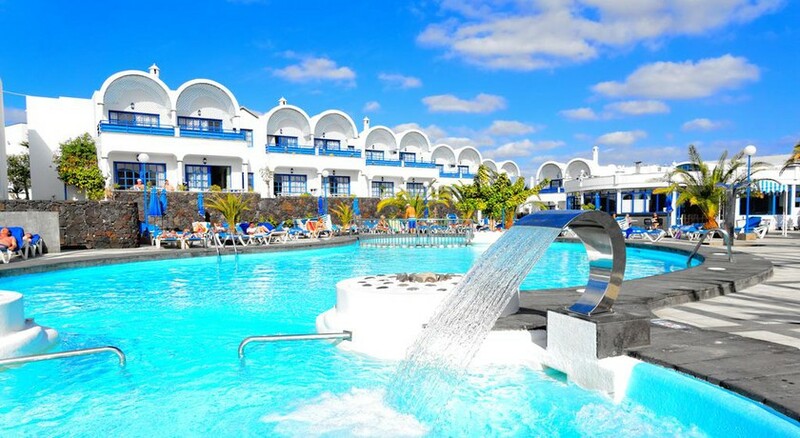 The Puerto Carmen Hotel RIVERSUN TOURISTIC is situated in the heart of the seaside resort of Puerto Del Carmen, in Tias, Lanzarote. The complex is ideal for family holidays, just 10-minutes from the nearest beach and complete with a variety of in-house activities and facilities to keep guests entertained. The Puerto Carmen Hotel RIVERSUN TOURISTIC hotel is nestled amid a pleasant garden area with multiple sports and leisure facilities including a swimming pool, solarium, outdoor terrace, tennis courts, a children’s play area and much more – not to mention a new 18-hole golf course within 1km of the complex. All the apartments are fully equipped and furnished in a modern and functional style, consisting of One or Two-Bedroom Apartments. The poolside snack bar offers a delicious breakfast, lunch and dinner buffet, or you can explore the surrounding area for local cuisine. 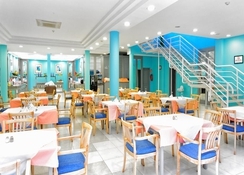 The Puerto Carmen Hotel RIVERSUN TOURISTIC Hotel is ideally set in Puerto Del Carmen, which is a famous coastal town that falls in the municipality of Tias, Lanzarote. There are plenty of places of interest and historical attractions nearby to keep you engaged throughout the day. It will be an exciting stay for the beach lovers as the Playa Chica Beach is only 1.9km from the hotel. Satisfy your luxury shopping needs at Biosfera Plaza (550m), where you will find numerous fashion outlets. The Lanzarote Airport is the nearest airport to the hotel, it stands at a distance of 8.7km. 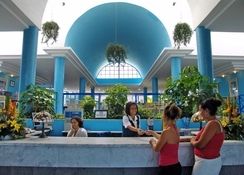 The Puerto Carmen Hotel RIVERSUN TOURISTIC Hotel features 148 rooms, which fall into three categories namely One-Bedroom Aapartment, Two-Bedroom Apartment and Apartment 1 Domitorio Promo. 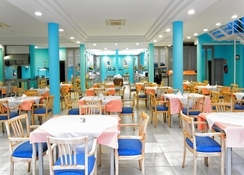 All the apartments have a furnished balcony and a well-equipped kitchenette. Other guest-friendly amenities include a ceramic hob, toaster, kettle, microwave, TV (with extra charge), pay-per view safe, telephone, sofa, free toiletries, refrigerator and WiFi (with extra charge). The hotel houses a restaurant and a poolside bar, where guests can indulge in a buffet breakfast and tempting a la carte lunch and dinner. There are many bars and restaurants surrounding the hotel which will satisfy the appetite of different guests from across the world. Check out Arthur’s Bar & Restaurant, Bluebells and Maguires Irish Bar & Restaurant. With a tennis court, heated outdoor swimming pool, large terrace solarium and a playground, the hotel is sure to keep guests entertained day and night. Golf lovers can tee off to the 18-hole golf course, which is less than 1km away from the hotel. Watersports enthusiasts can head to the Playa Chica Beach, where you can do snorkeling, scuba diving and much more. Although the bed's and furnishings are a little uncomfortable I liked this hotel. It suited my needs perfectly as it was only a 5/10 min walk from town/beach. It was clean and has a lidl right next door! So a big bonus for me as I went self catering. You do need to pay extra for the TV though, which I thought was a bit cheeky. A dated but clean hotel, pleasant stay with very few complaints. Be ready to sit out by the pool from early on as there was no chance of finding a lounger if you leave it till late morning.